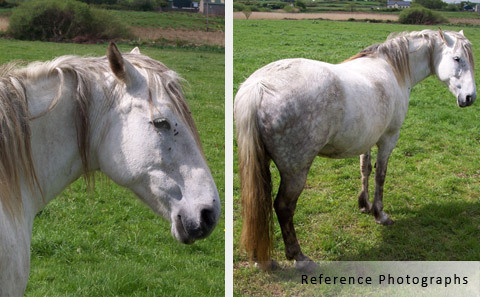 This horse portrait painting is based on a photograph I took when on a trip in Westport, Ireland. 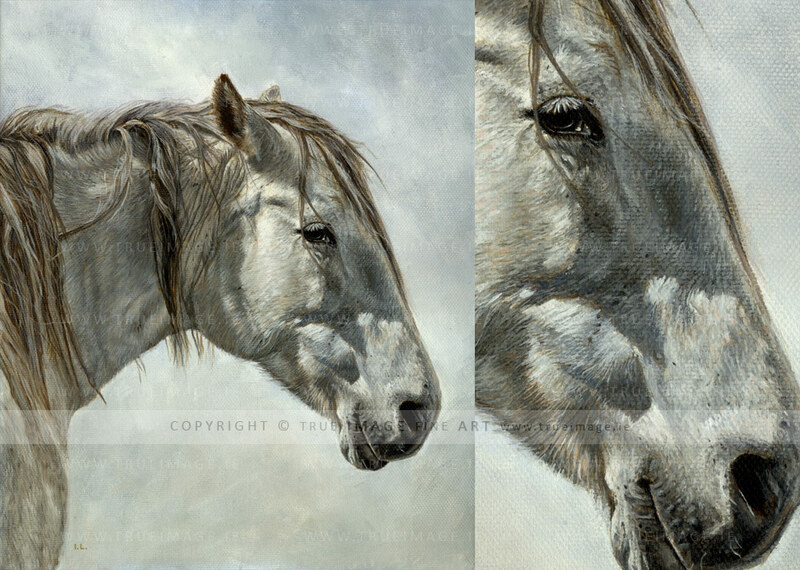 I painted it mainly as an addition to my gallery here, as it is my first equine painting. I used acrylic paints on stretched canvas 25 x 30cm in size. The photograph was taken during a very sunny day (a very rare occasion in Ireland) and I wanted to capture this in the painting. I emphasised the shadows and highlights on the horse's muzzle and forehead. The background was kept simple.